Beautiful hand knitted basket stitch scarf in pure wool, with a 6cm teddy bear s..
Beautiful hand knitted basket stitch hat in pure wool, with a 6cm teddy bear sit..
Beautiful hand knitted basket stitch hat in pure wool, with a 6cm teddy bear sitting in the pocket. 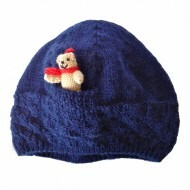 The little teddy is attached by a cord to make sure he doesn't stray too far! 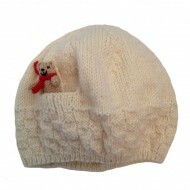 The hat is one size and fit children aged 18 months to approx 6 years. 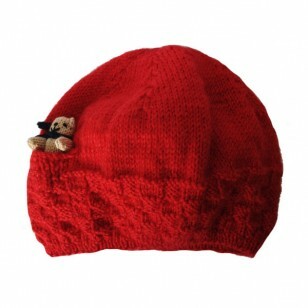 The hat brim can be folded up for younger children.